Have a blast with your Class, Troop, or Teams. 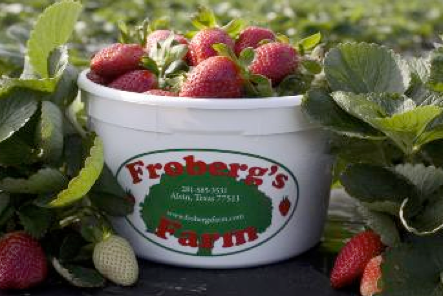 Bring your group of friends out to pick their own Strawberries! For Field Trips you must listen and obey all the rules, but most importantly you must have fun! You can also request a picnic area right next to our oak trees that have been a part of our farm for more than two centuries! Our Field Trips are only available Monday through Friday, excluding some holidays. You must fill out a Field Trip Request form and we will reply with a confirmation. New this year we also have our Berry Fun Land. Its a playground built just for the kids to play and enjoy. We also have some fun and unique photo opportunities! You can add the mining sluice to your field trip for an additional cost. Come out with your friends and classmates to walk through the Corn Maze and try not to get lost. 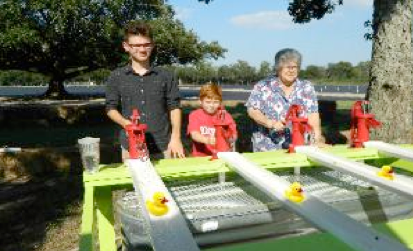 Once you find your way out of the Corn Maze head on over to the duck races where it’s all about the race to the finish as you pump the duck down the stream to the finish line. And the duck is yours to keep. Then your going to go over to the planting booth where the kids can plant a strawberry plant to take home and watch it grow and bloom. You can have a picnic under the big oak trees. We also have some photo opportunities! New this year we also have our Berry Fun Land. Its a playground built just for the kids to play and enjoy. You can add flower picking and the mining sluice to your field trip for an additional cost.